A reality television show—which brought former law enforcement officials together, tasking them with hunting down teams of “fugitives”—needed to replicate the tech infrastructure of a highly secure modern command center in order to support the fugitive-hunting efforts of several fast-moving distributed teams. To this end, they needed a highly secure modern messaging solution that enabled field agents and analysts to communicate in real time while meeting strict security and privacy needs. Slack, Skype and Microsoft Teams didn’t offer the combination of agility and control needed. Mattermost delivered. On CBS’s Hunted, former members of the FBI, CIA, NSA and U.S. Marshals hunt for teams of simulated fugitives who are hiding somewhere in a 100,000-square foot area outside Atlanta. The highly skilled investigators featured on the TV show include Theresa Payton, a former White House CIO and a leading expert in cybersecurity and IT strategy; Lenny DePaul, a former commander of the U.S. Marshals New York/New Jersey Regional Fugitive Task Force; Steve Masterson, a former intelligence officer who has worked within Naval Special Warfare and the National Geospatial-Intelligence Agency; and Aki Peritz, a former CIA analyst who tracked the strategy, leadership and international links of Al Qaeda in Iraq. Hunted, which awards teams that are able to elude capture over a 28-day period, debuted in January 2017. Former United States White House CIO, Theresa Payton, opens Mattermost on her laptop during an investigation. Hunting fugitives under a strict timetable is no easy feat—even in the world of reality television. To coordinate their efforts, the security professionals on Hunted needed to replicate a state-of-the-art public safety command center on a limited budget—one that met the security requirements of federal agencies. That way, they’d have access to the robust tools and resources they utilized when working for the U.S. government. They’d also be able to quickly and securely share information with one another whether they were at headquarters or out in the field. Because SaaS solutions like Skype, Slack and Microsoft Teams store data in the vendor’s cloud, these solutions couldn’t meet the show’s security requirements or the need to archive materials at the close of the project. To ensure the sensitive data the fugitive hunters shared remained confidential, the Hunted team needed a solution that could be hosted in a private cloud so they’d retain complete control over all the data that passed through the system. After searching for a secure messaging solution that could be run in their own data center, the Hunted team came across Mattermost, the open source enterprise messaging workspace that can be hosted on-premises or in a private cloud. Available under an open source MIT license, Mattermost gives IT admins complete access to source code; they can inspect the platform thoroughly prior to deployment to ensure it lives up to their security standards. As deployments expand and move into data centers, where high availability mode and corporate directory integration with AD/LDAP are needed, organizations upgrade to Mattermost Enterprise Edition, which is used today by two of the three largest U.S. federal agencies. Connie Min, former CIA analyst, uses Mattermost to communicate across teams. Liking what they saw, Mattermost was rapidly deployed. Thanks to the platform’s intuitive design and highly secure nature, the fugitive hunters were able to begin collaborating right away with the peace of mind that comes with knowing no one outside their organization could access the messages and files they sent through Mattermost—something that is critical in high-trust environments like the one recreated in Hunted. Lenny DePaul, former commander for the United States Marshals Service, communicates using Mattermost. The decision to deploy Mattermost proved to be a shrewd one for the Hunted crew. The fugitive hunters were able to capture seven of the nine two-person teams during the four-week competition—including one on the first day. Fluid collaboration. Power users with keyboard shortcuts could quickly scan through channels and direct messages, send quick, targeted alerts using channels and mentions and rapidly form war rooms to collaborate and solve problems. Real-time messaging. 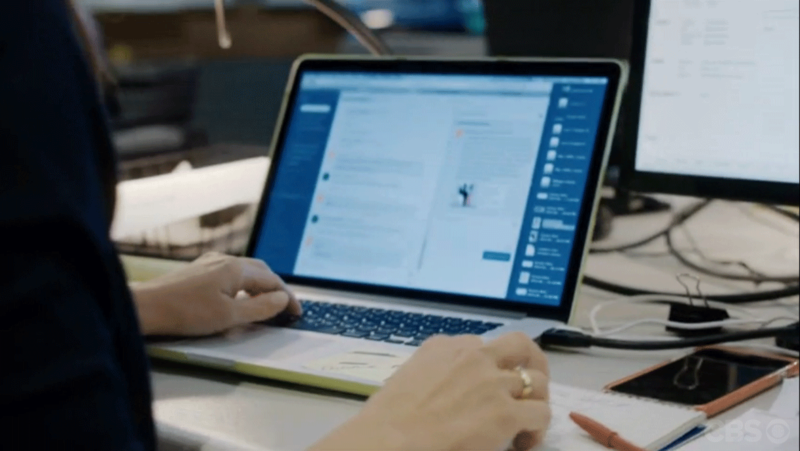 The security professionals used Mattermost to message with their colleagues in real time. Thanks to the platform’s continuous archiving and instant search capabilities, the fugitive hunters were able to easily find relevant information when they needed it. Secure file sharing. The Hunted team used Mattermost to share files with one another as they zeroed in on the fugitives. For example, we see the hunters sharing photos of one of the fugitive’s tattoos during the first episode. Mobile collaboration. When they were out in the field, fugitive hunters used Mattermost to stay in touch with their teammates stationed at the command center. Increased productivity. Fugitive hunters didn’t have to wait until they got back to the command center to move their investigations forward. New information was shared immediately, enabling the hunters to continuously focus on what came next—instead of dwelling on a single piece of information any longer than they had to. Accelerated decision-making. Being able to share files securely from any device enabled the fugitive hunters to make better, more informed decisions faster. Increased engagement. Staff out in the field could move their efforts forward without having to return to headquarters. Privacy-minded organizations seeking productivity gains—including several U.S. federal agencies—are increasingly turning to Mattermost to accelerate decision-making without compromising on security and compliance. In an interview with CBS News, Payton said she used the same techniques on Hunted as she does in her current role as cofounder of Dark Cubed. “On the show, we used the tools we use every day working at my company to hunt down bad guys,” Payton explained. The learn more about Mattermost, contact our customer team. 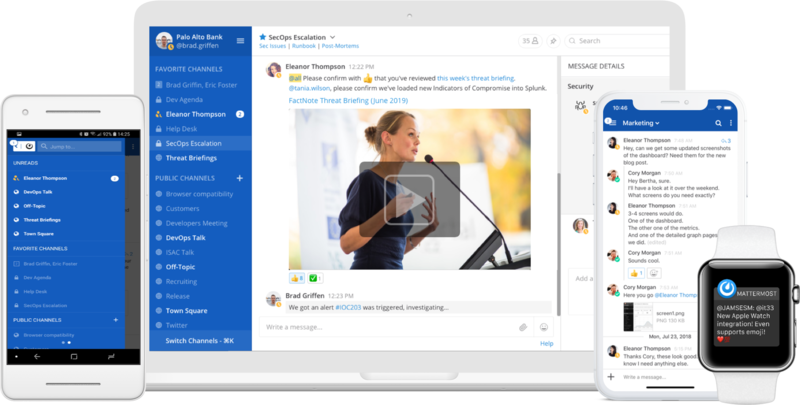 Mattermost offers high trust collaboration and messaging solutions that empower leading companies to drive process improvement, raise productivity and replace legacy systems while meeting custom security, compliance and auditing needs. Our solutions provide enterprise messaging workspaces for teams to collaborate securely and effectively. Mattermost offers a centralized hub for intra-company communications that increases agility, efficiency and innovation while meeting advanced security, compliance and audit requirements, which may include deployment to AWS, Azure and private clouds, or even to on-prem environments. Install a new open source instance of Mattermost with instructions from our download page. Check out our upgrade guide for guidance on updating to the latest version. Mattermost Enterprise Edition is available to federal, state and local governments via FedResults and other resellers.